This manual contains more than 250 exercises and variations to strengthen, align and sculpt your body without Pilates equipment. This is the first and only manual on the market today for a ball its size. Numerous personal trainers, yoga instructors, group fitness instructors and physical therapists are utilizing the dynamic nature and elements of the TRIADBALL to successfully integrate the TRIADBALL into their sessions and classes. 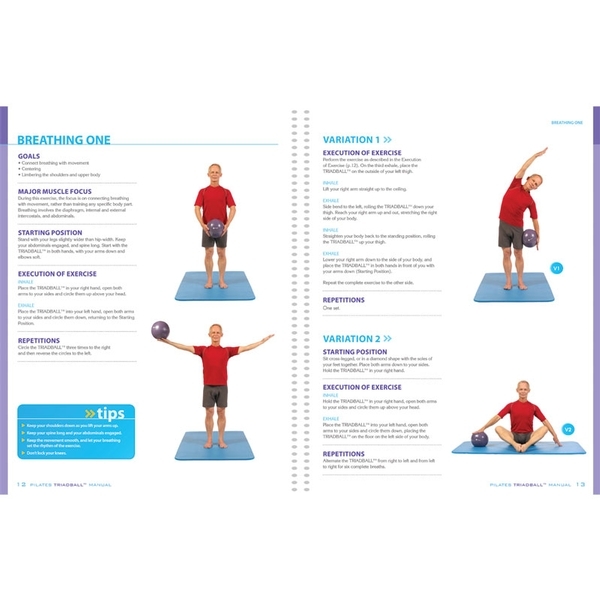 This manual will serve as a starting point and reference guide in working and integrating the TRIADBALL into your workouts and sessions. 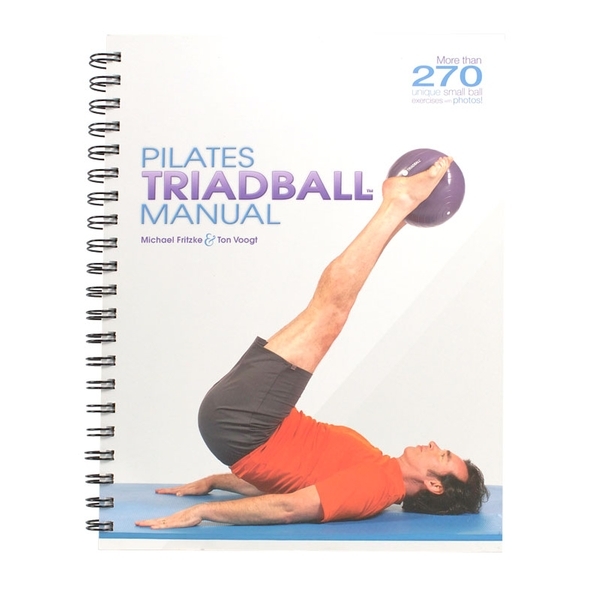 The Pilates TRIADBALL Manual is extremely user-friendly, and a sample workout is included as a great starting point for you and your clients! Illustrated. Spiral-Bound, 180 pages. Hundreds of Awesome exercises with one ball! Tons of great exercises in here, definitely well worth the price.